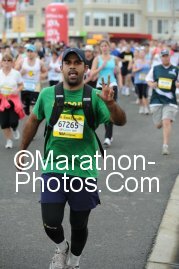 I had a fun 8km run over the weekend at the Sri Chinmoy Cooks River Run held near my old suburb at Hurlestone Park. I didn't know what the route would be and when I rocked up for the run at 7am in the morning I was very excited because I realized that I had run that route many times when I lived in Hurlestone Park, in fact it was the same route I used almost very day when I trained for my first Half Marathon. The race was very well organsied as all Sri Chinmoy runs are and I enjoyed every minute and second of the 44m 38s it took me complete it. I'm not a fast runner but I was very happy with this pace. My next run will the the Sri Chinmoy Centannial Park 14km run in a weeks time and hope I can score a good time in that as well. I'm still not nearly as fit as I want to be and hope to keep these runs going until I'm ready for another marathon. Last Sunday I completed in my first Duathlon which was the last race as part of the Hills Tri Club's yearly Duathlon Series and was held at my regular training location, Parramatta Park. This was also the first time I had taken part in a race that involved Cycling. The race was 3.2km Run - 19.2km Cycle - 3.2km Run and was conducted with standard Triathlon Australia rules (No drafting, blocking on cycle leg etc). In the end I managed to finish it in around 1h40m. I only really got a single training session in before race day around a week before the race and had no idea what to expect. My concern was that I would break some rule when it came to the transitions between cycling and running as well as the road rules for cycling, but the event was so well organized that even as a first timer I was able to clearly see all the markings on the course and be able to follow the rules without much confusion. I really found the cycle leg interesting, I had never raced with other riders on the road and found it really exhilarating. A few professional Triathlon Australia Team athletes also took part in this race and I felt privileged to be able to take part in the same event as these guys. One of the biggest flaws I made was that I didn't take any liquids with me and therefore didn't drink anything during the first run and cycle leg, as a result I started to cramp by pretty bad during the final run leg. As a rule, I don't consume any Isotonic drinks for any workout less than a hour but on this day I should have as I ended up sweating for more than an hour and it did affect me. Overall, this easily one of the most exciting races I have taken part in so far and sadly I have to wait for a whole year for the Duathlon season to begin again. 2011 has been a pretty bad year for me with injuries, it started off really well and I was getting fit gradually just in time for the running season. Unfortunately I then had a pretty bad fall playing indoor soccer and badly injured my right knee around two months ago. It took me more than a month to be able to walk without a limp and a few more weeks before I could run. 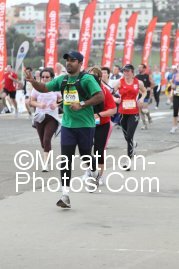 So City2Surf was a real challenge this year as I had not run more than 10km in around 3 months. But I was confident that I could finish it and wanted to make a enjoyable day out of it as this is after all the largest fun run in the world. It was a cold and soggy day but the run was still really nice, running this race is such a cool experience and I enjoyed every minute of it, especially Heartbreak hill which I still think is an amazing running challenge. In the end, I finished with a time of 1h:32m (92m) which was around 10 mins slower than last year, but on a positive note my knee feels great and I feel ready to take my 2011 running season up a notch. 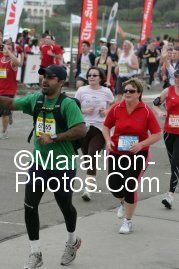 So its a late start to 2011 running for me, but its a start nevertheless! Here are some pics and videos from the race.